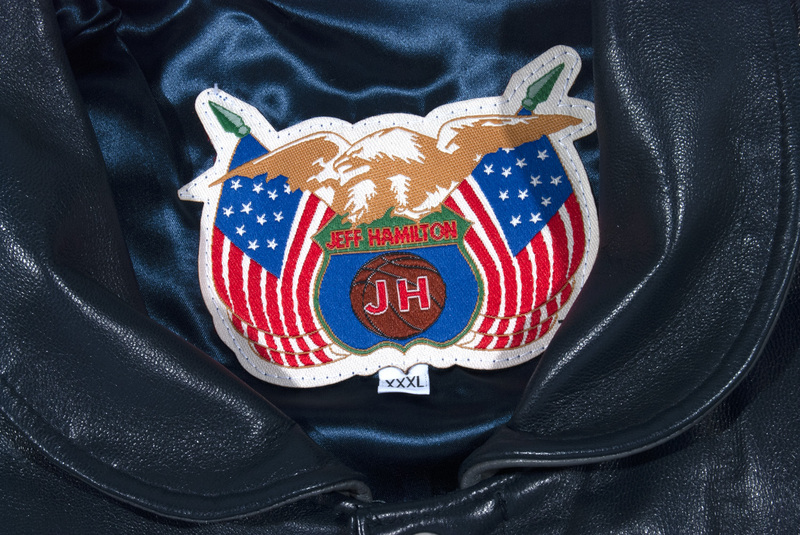 This flashy, custom-made Jeff Hamilton leather jacket was presented to Oscar Robertson at the 2001 NBA All-Star Game in recognition for him being a 3-time All-Star Game MVP. The team with which The Big O spent his best NBA years -- "Cincinnati Royals" -- is patched on the upper left sleeve. The "NBA All-Star 2001 Washington DC Feb. 9-11" patch appears on the upper right sleeve, with the maker's "Jeff Hamilton" patch below. 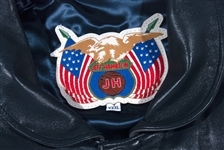 The patriotic "JH" manufacturer's tagging appears in the back collar with a size XXXL flag tag. 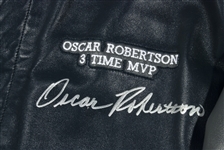 Oscar has signed the front in perfect 10/10 silver felt tip pen right below the "Oscar Robertson 3-Time MVP" patch stitched to the left chest. On the back is a large NBA logo surrounded by "All-Star MVP." These somewhat outlandish "members-only" looking jackets are highly collectible, regardless of whether some think they have gone out of style. 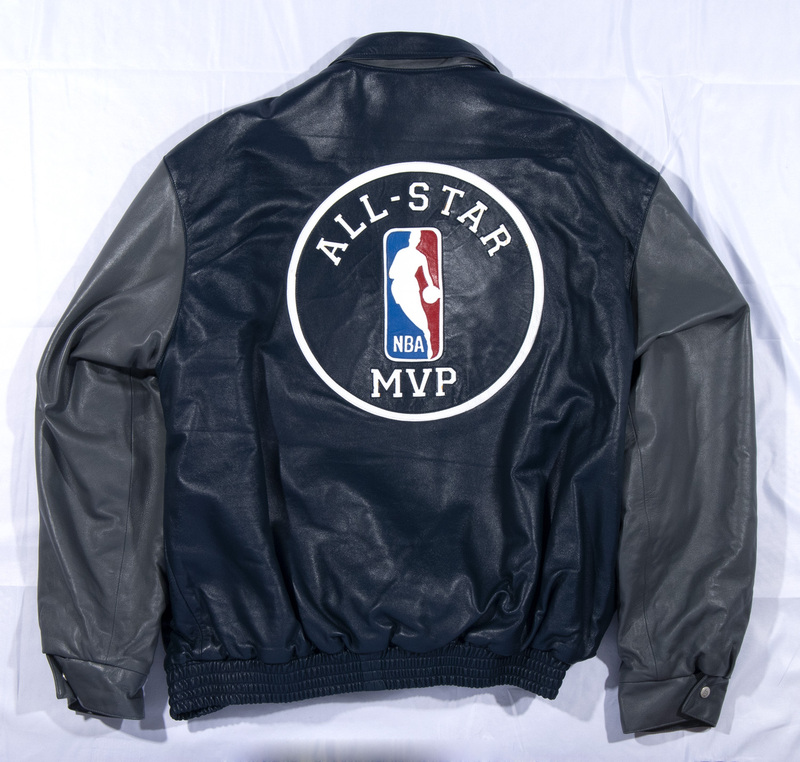 Respected designer Jeff Hamilton would make these 1 of 1 jackets only for the NBA's most special occasions as presentable awards for the game's most iconic players. 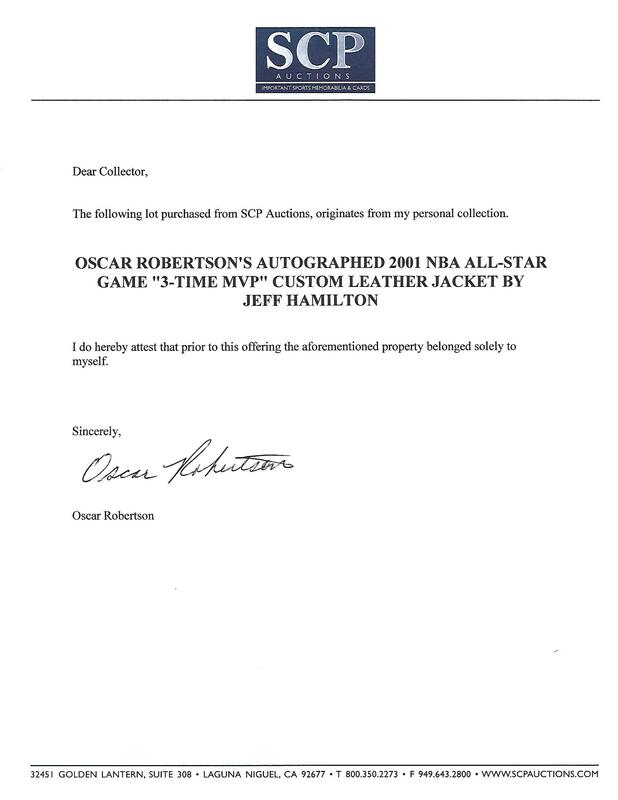 (We auctioned Julius Erving's jacket of the same theme for $10,766 when we featured the Dr. J Collection in 2011.) 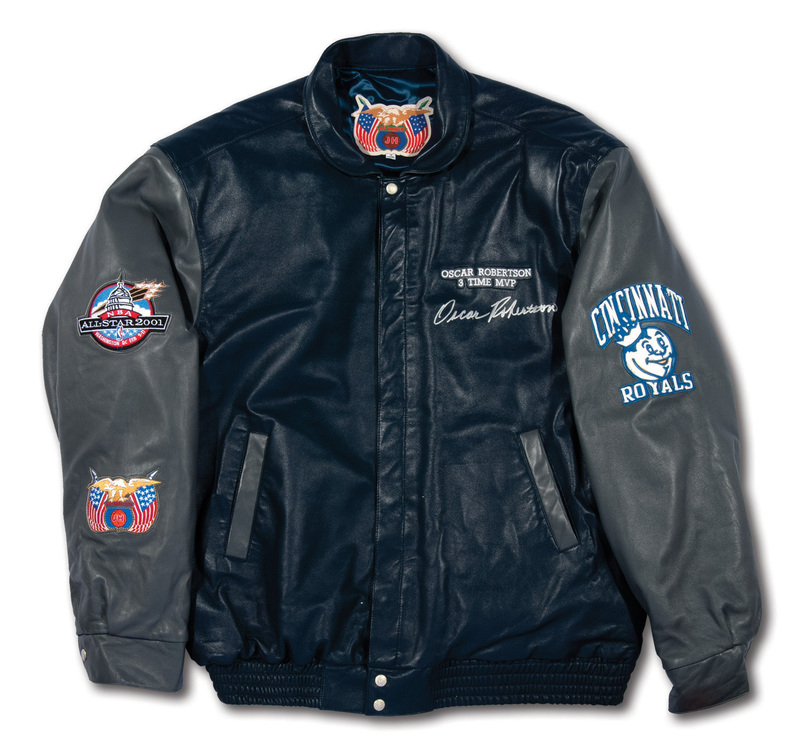 The navy blue and gray leather jacket cmes in the color scheme of the Royals shows little to no use. 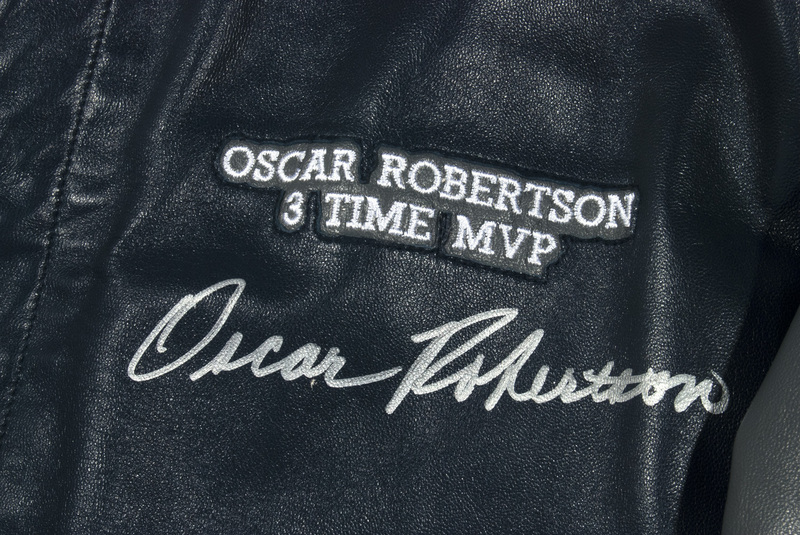 It comes with its original black fabric Jeff Hamilton garment bag and an LOA from Oscar himself.